Come Back Strong-Hot Atlanta 4. 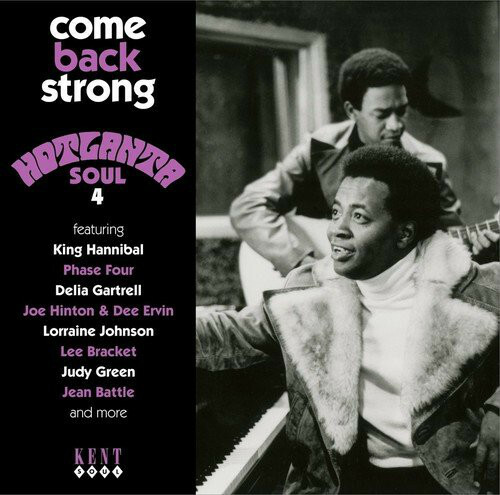 For anyone interested in Southern Soul, Come Back Strong-Hot Atlanta 4 was a must-have. It featured contributions from Sam Dees, John Edwards, Dee Irwin, Joe Hinton, Loleatta Holloway, Danny Johnson, Jimmy Lewis and Dorothy Norwood. That was just part of the story. There’s much more music to discover on Come Back Strong-Hot Atlanta 4. It features familiar faces, old friends and new names, plus singles, B-Sides and unreleased tracks. They all have one thing in common, their indisputable quality. That’s no surprise. Some of the best songwriters, musicians and producers were employed to write and produce the music on Come Back Strong-Hot Atlanta 4. Many of the artists on Come Back Strong-Hot Atlanta 4 went on to enjoy long and successful careers. Sadly, others never quite enjoyed the commercial success and critical acclaim they deserved. It was a case of what might have been. Come Back Strong-Hot Atlanta 4 is a reminder of the music that Michael Thevis’ burgeoning musical empire left behind, after its sudden demise in late 1975. This was the end of what was a remarkable escape in Atlanta’s musical history. Part of the story is documented on Come Back Strong-Hot Atlanta 4, which is a tantalising reminder of Atlanta’s rich and vibrant musical scene during the early seventies. After Conrad Schnitzler’s death in 2011, the job of organising his musical archive fell to Conrad Schnitzler’s former musical partner Wolfgang Seidel. He was appointed guardian of Conrad Schnitzler’s archive. This included everything from the master tapes to albums, to recordings of concerts that were committed to cassette. The archive was proving to be a treasure trove. Especially when Wolfgang Seidel discovered long-lost, hidden treasure. Tucked away in Conrad Schnitzler’s archive were two tapes which were mysteriously marked Filmmusik 1975 and Filmmusik 1980. Wolfgang Seidel dusted these down, and looked at them. However, there was no other information with the tapes. They were a mystery. When Wolfgang Seidel listened to the tapes was transported back to 1975 and 1980. Here was his old friend Conrad Schnitzler at his most accessible. Some of that music featured on Bureau B’s compilation Filmmusik 1. It’s the perfect starting place for newcomers to Conrad Schnitzler’s music, and is a gateway album to the rest of his back-catalogue. 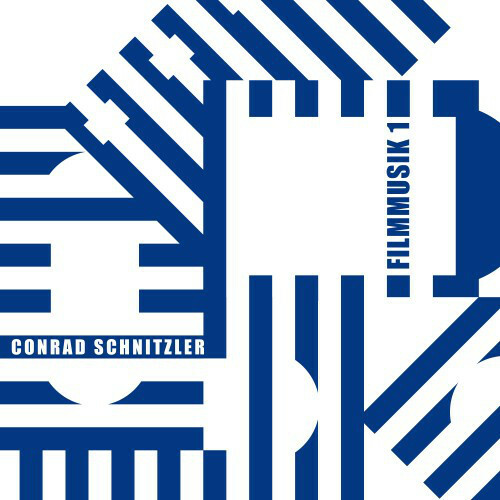 This is sure to be the first step in a voyage of discovery through the delights of Conrad Schnitzler’s back-catalogue. However, this is no ordinary back-catalogue. Conrad Schnitzler’s back-catalogue is vast. He was a prolific solo artist and collaborator. The journey through Conrad Schnitzler’s back-catalogue brings to mind Loa’s quote that: “a journey of a thousand miles begins with a single step.” The first step in the journey through Conrad Schnitzler’s back-catalogue is Filmmusuk 1. 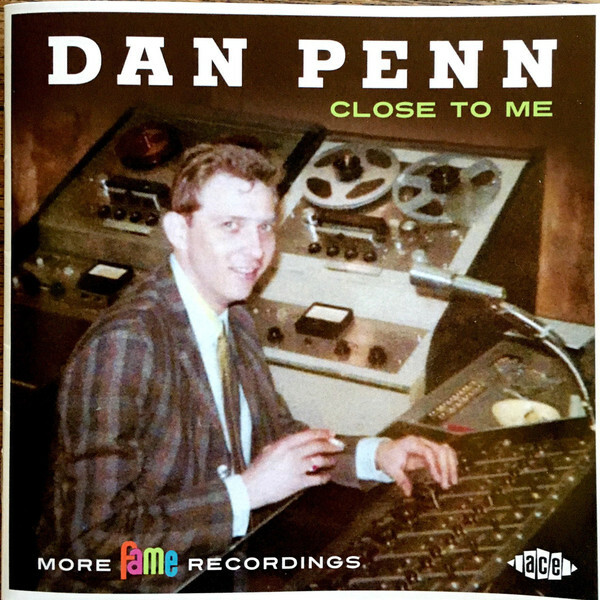 For the twenty-four songs on Close To Me-More Fame Recordings, Dan Penn was accompanied by the legendary Memphis Shoals Rhythm Section. This included David Briggs, Junior Lowe, Roger Hawkins and Jimmy Johnson, to name but a few. They accompanied Dan Penn on songs he had written with Rick Hall, Donnie Fritts, Quin Ivy, Marlin Greene, David Briggs and Spooner Oldham. These songs were recorded between 1963 and 1966, and most have never been released before. 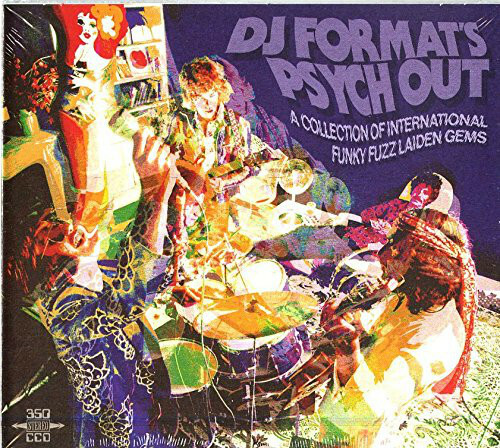 DJ Format’s Psych Out is unlike most psychedelia compilations. Rather than focus on just American or British psychedelia, DJ Format picks fourteen tracks from the four corners of the globe. So tracks that were originally released in America, Britain, Czechoslovakia, France, Germany, Hungary, Peru, Poland, Singapore, U.S.S.R. and Yugoslavia can be found on DJ Format’s Psych Out. These tracks come courtesy of The Quests, The Tijuana Brats, The CT Four Plus, 49th Blue Streak, Bana Pop Band, Friar Tuck and His Psychedelic Guitar, Sergio Ferraresi and Pro Arte. This is the type of music that DJ Format wishes he could spin at clubs each weekend. Essentially, DJ Format’s Psych Out features tracks that would be part of his dream set. And what a set DJ Format’s Psych Out was. It was released by BBE Records and featured fourteen lysergic tracks from eleven counties. This globe-trotting musical journey begins in Singapore, and ends up behind the Iron Curtain in Yugoslavia. In between, DJ Format takes the listener on globe-trotting trip. Each of these countries contribute at least one memorable slice of heavy, fuzzed-out psychedelia. They feature on DJ Format’s Psych Out, which is a lovingly curated compilation that was, without doubt one of the best psychedelic compilations of 2016. Ever since the late sixies, Dusseldorf has had a rich and vibrant music scene. It has been home to Michael Rother, Neu!, Wolfgang Reichmann, La Dusseldorf, Der Plan, Daf, Teja Scmitz, Die Krups, Rheingold and Pyrolator. They’re just some of the artists that featured on Gronland Recordscompilation Electri_City 2. It’s a further reminder of the city’s rich musical history. 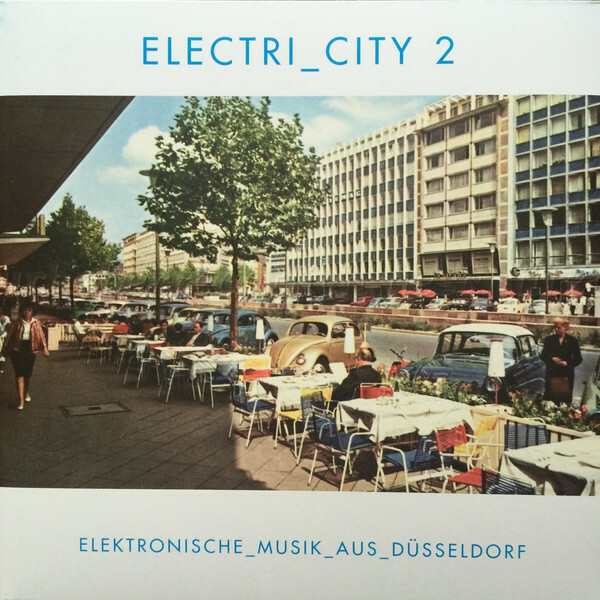 Electri_City 2 is lovingly compiled and eclectic compilation of music from one of Germany’s musical cities, Dusseldorf. Everything from avant-garde, Berlin School, electronica, experimental and industrial music sit side-by-side with Krautrock, new wave, post punk and synth pop. Often, several musical genres melt into one on the one track. The result is often a groundbreaking, genre-melting track. Some of these tracks were way ahead of their time. Indeed, it’s only now that the importance of this music is being recognised. Other tracks were truly innovative and went onto influence several generations of musicians. Especially groups like Neu!, La Dusseldorf and guitar virtuoso Michael Rother. They’re true musical pioneers, who were leaders not followers. Nearly forty years later, and their music continues to influence yet another generation of musicians. That is the case with many other artists on Electri_City 2. They all have one thing in common. That’s that their career began in one of Germany’s musical cities, Dusseldorf. Electri_City 2 is a lovingly compiled reminder of Dusseldorf’s illustrious musical past. 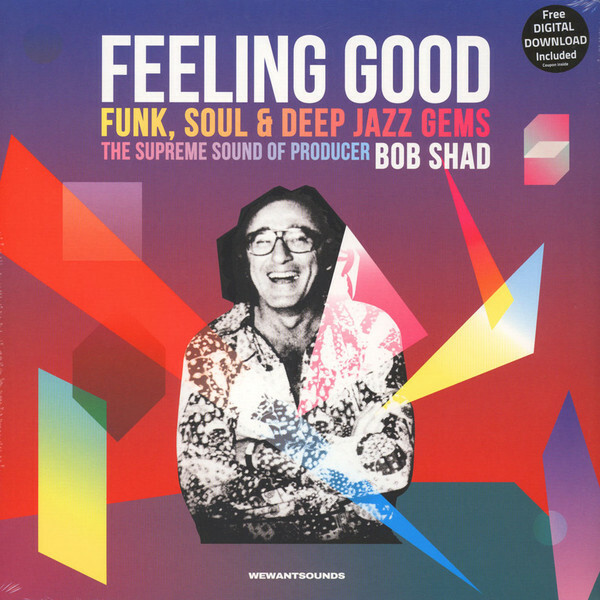 Feeling Good-Funk Soul and Deep Jazz Gems: The Supreme Sound Of Producer Bob Shad. After relaunching Mainstream Records in 1970 as a jazz label, the lines between what was soul and jazz were blurring. Bob Shad decided that Mainstream Records should released a more eclectic selection of music, including soul, funk and jazz. A reminder of this period in Mainstream Records’ history was celebrated on a Feeling Good-Funk Soul and Deep Jazz Gems: The Supreme Sound Of Producer Bob Shad. It was released by Wewantsound. Feeling Good-Funk Soul and Deep Jazz Gems: The Supreme Sound Of Producer Bob Shad and is a fitting tribute to one of the great music men. Having realised that music was changing, Bob Shad signed and released singles and albums by Alice Clark, Afrique, Art Farmer, Barry Miles, Blue Mitchell, Carmen McRae, Clark Terry, Ellerine Harding, Hadley Caliman and Shelly Manne. They’re among the fifteen tracks on Feeling Good-Funk Soul and Deep Jazz Gems: The Supreme Sound Of Producer Bob Shad. It’s a reminder of Mainstream Records’ illustrious back-catalogue. There’s soul, funk and jazz, plus hidden gems, familiar faces and old fiends on Feeling Good-Funk Soul and Deep Jazz Gems: The Supreme Sound Of Producer Bob Shad. It’s a celebration of the life of a music man, Bob Shad, who for over forty years, and five decades, always saw the bigger picture musically, and was one step ahead of the competition, in an ever-changing music industry. Although a record amount of albums were released for Record Store Day 2016, there were some albums that eluded many record collectors. This included Get Me Home For Tea-Rare Psychedelic Rock From The UK, which was released as a limited edition of 2,000 by ORG Music. 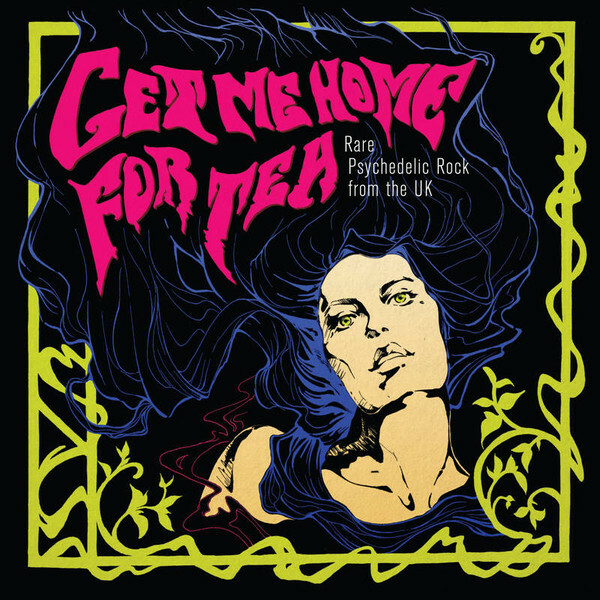 Get Me Home For Tea: Rare Psychedelic Rock From The U.K. features twelve psychedelic and freakbeat tracks from the vaults of Parlophone. This includes Tomorrow, The Moles, The Idle Race, The Artwoods, The Brain, The Penny Peeps and The Game. These artists are just some of the artists that feature on Get Me Home For Tea-Rare Psychedelic Rock From The UK. It was a reminder of Britain’s psychedelic past. For fans of psychedelia and freakbeat, Get Me Home For Tea: Rare Psychedelic Rock From The U.K. was a must have release. Sadly, copies were and still are, like hen’s teeth. That was no surprise. Get Me Home For Tea: Rare Psychedelic Rock From The UK was a carefully curated, quality compilation that features twelve hidden gems from the vaults of Parlophone. In 2015, Ace Records Here Today!-The Songs Of Brian Wilson as part of their Songwriters’ series. By the end of the year, it was their biggest selling release of 2015. This was something to celebrate. This was something to celebrate. So to celebrate the success of Here Today!-The Songs Of Brian Wilson, Ace Records decided to release a vinyl edition of the compilation. This however, was no ordinary vinyl edition. 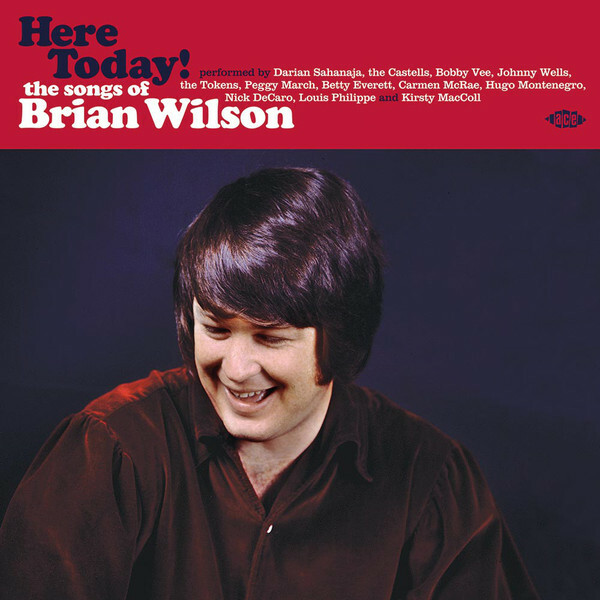 Instead, the vinyl edition of Here Today!-The Songs Of Brian Wilson was pressed on 180 gram snowy white vinyl, and features a dozen of the compilation’s highlights. This includes Darian Sahanaja, Bobby Vee, Betty Everett, Carmen Mcrae, Nick Decaro and Kirsty MacColl. They all pay homage to Brian Wilson, one of music’s greats. That visionary is Brian Wilson, who has influenced two generations of musicians, including the artists who pay tribute to him on Here Today!-The Songs Of Brian Wilson. Here Today!-The Songs Of Brian Wilson was a fitting addition to Ace Recods’ Songwriters’ series, and is a fitting and poignant reminder of Brian Wilson at the peak of his powers. Throughout musical history, songwriters always revisit certain subjects. Especially, angst, betrayal, heartbreak and love lost. Countless songs have been written about these subjects. That has been the case since the birth of popular music. However, for many music lovers, the late fifties and early sixties was a golden age for songs about heartbreak. 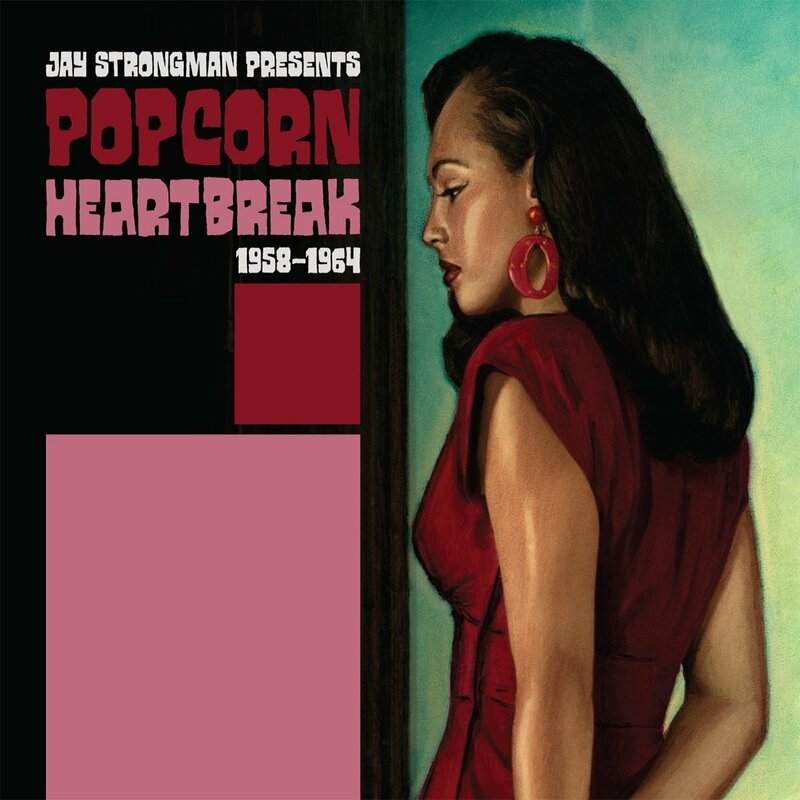 Twenty tracks from that period featured on Jay Strongman Presents Popcorn Heartbreak 1958-1964 which was released by BBE Records. Among the twenty artists who feature on Jay Strongman Presents Popcorn Heartbreak 1958-1964 are Hillard Street, Varetta Dillard, Jesse James, The Gainors, Dolly Lyon, Brook Benton and Cindy Devereaux. That’s not forgetting contributions from Anna King, Johnny Wells. Timi Yuro and Lew Conetta. Each of these artists have their own tale of heartbreak to share on Jay Strongman Presents Popcorn Heartbreak 1958-1964. The soulful sounding music on Jay Strongman Presents Popcorn Heartbreak 1958-1964 fell out fashion until the seventies. It was only when Belgian Popcorn DJs are looking for an alternative to disco that they discovered that these mid-tempo, soulful sounds from a decade earlier fitted the bill the perfectly. They became the soundtrack to slow dancing, late at night at Popcorn nights across Belgium; and soon further afield. Nearly forty years later, and Popcorn nights are still being organised in clubs. This is testament to this timeless music, which can be found on Jay Strongman Presents Popcorn Heartbreak 1958-1964. 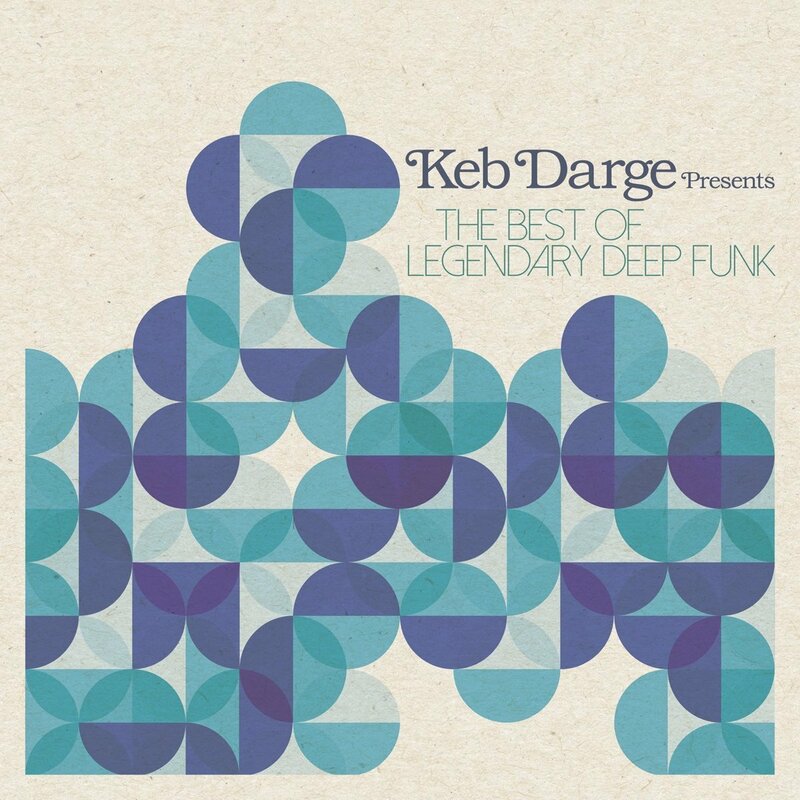 Keb Darge’s Presents The Best Of Legendary Deep Funk. When Keb Darge’s Legendary Deep Funk Volume 3 was released to critical acclaim in 1999, many thought this was going to be a long running compilation series. Sadly, it wasn’t to be. There were no further instalments in the series. Fast forward to 2016, when BBE Records were celebrating twentieth anniversary during 2016. One of the most anticipated releases was Keb Darge Presents The Best Of Legendary Deep Funk, Keb Darge . He had chosen twenty-one tracks from King Tutt, Harris and Orr, Soul Drifter, Record Player, Dee Edwards, Leon Gardner, Family Of Eve, Joe Washington, Sons Of The Kingdom, Golden Toadstools and Carleen and The Groovers. They feature on disc two, while Disc one wa a seventeen mix from another BBE stalwart, Mr. Thing. The DJ and record collector showcased his considerable skills on the wheels of steel. These two discs marked the welcome return of Keb Darge’s much loved Legendary Deep Funk series. Seventeen long years after releasing this last in his trio of compilations of deep funk, Keb Darge Presents The Best Of Legendary Deep Funk returned like a conquering hero. Keb Darge Presents The Best Of Legendary Deep Funk featured the creme de la creme of deep funk, from the genre’s founding father, Keb Darge. ← THE BEST COMPILATIONS OF 2016-PART 3.